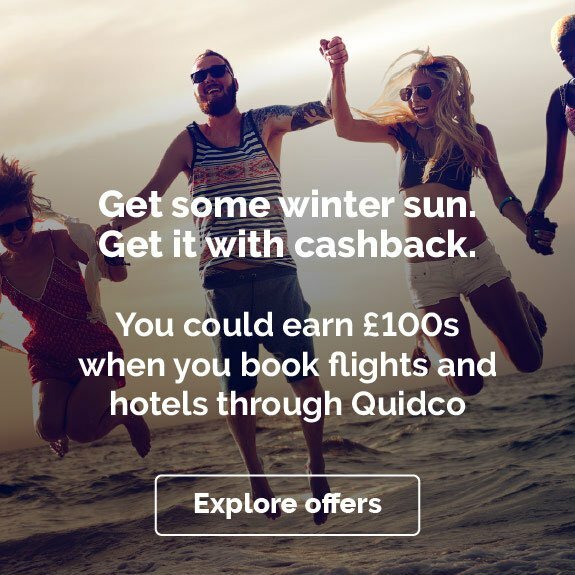 Book your next adventure with KLM through Quidco and you’ll earn cashback on your flight. If you’ve got a craving to explore a new destination then head to KLM, who fly to more than 500 destinations worldwide and offer great value on flights, hotels and car hire. Book your trip now through the links on this page and your cashback will be calculated automatically. Find out more about flying with KLM and how you can make the most cashback on your next trip. KLM Royal Dutch Airlines is the flagship carrier of the Netherlands that provides low-cost air travel to over 500 destinations worldwide. They focus on giving their customers an unforgettable experience when travelling and ensuring their passengers are comfortable and at ease on their flights sets them apart from other budget airlines. KLM allows you to browse destinations for inspiration on your next trip, book flights, hotels and car hire, as well as tours and activities for when you arrive at your destination. 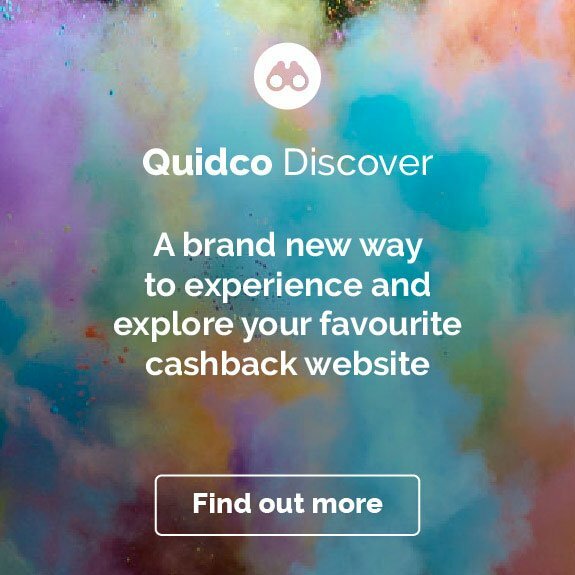 And now thanks to Quidco’s partnership with KLM you can earn cashback on your next holiday. KLM makes booking your next trip really easy. If you already have your heart set on your next destination, you can enter your departure airport and destination airport along with the date and you’ll be given all of the flight options available. Not sure where to jet off to yet? Check KLM’s flight deals to bag a bargain on your next trip. Browse deals on trips to destinations around the world such as Beijing, Mauritius, San Francisco and Dubai, as well as trips closer to home like Stockholm, Hamburg, Copenhagen and Brussels. You can book up to 11 months in advance with KLM giving you plenty of time to plan ahead. View all flights to your chosen destination at a glance, including all special offers and flights operated by KLM partners. It makes booking your flights simple and you know you’ll be getting the best value. KLM isn’t just for great value flights: you’ll also be able to book hotel rooms through Booking.com or Airbnb who partner with KLM giving you an easier way to book accommodation. You can find budget hostels to luxurious hotels and everything in between to make your trip exactly how you'd like it. Simply pop in your destination and travel dates and then you can sort your search results by the number of stars, distance, popularity and customer rating. It makes planning your next trip a whole lot easier. You’ll also earn Miles if you’re a Flying Blue member so once they start to add up, you can enjoy spending your Miles on flights, luxury hotels and upgrades to Business Class. Check the terms and conditions before booking a hotel room through KLM, as it may not be eligible for cashback. Get your car hire sorted with KLM who have partnered with CarTrawler to give you an easy way to book car hire whilst organising the rest of your flight. Renting a car for your trip makes getting around a whole lot easier – there’s no waiting around for coach transfers, simply get into your car and head straight to your accommodation. Enter your location and the dates you are there and sort your results by price, category, size, number of seats, baggage capacity or number of doors, so you can find an ideal car for getting you and your loved ones around on your trip. KLM’s points programme allows you to earn miles every time you book a flight or hotel, rent a car or pay for daily expenses with your card. Save up your miles and you can use them to book flights to a dream destination, upgrade to Business Class, book a luxurious hotel or rent a fancier car. They’re one of the best ways to add an extra special touch to your trip. And if you’re feeling generous, you can donate your miles to a charity to support a cause you care about. It’s free to become a member of Flying Blue so sign up today to start earning those Miles! KLM’s travel guide is one of the best ways to discover new and exciting destinations, as well as their tips on what to do, where to stay and points of interest. Ever considered going to the vibrant Johannesburg in South Africa to soak up the inspiring architecture? Or how about a ski holiday in Vancouver, British Columbia? Let KLM inspire you and give you a helping hand planning your next epic adventure. 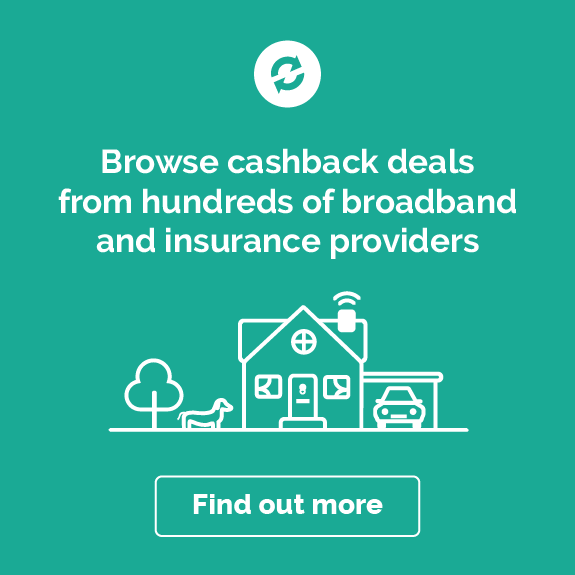 If you’re ready to book your next holiday then go right ahead and click the cashback offer links on this page to get started. But if you still need a little bit of inspiration, we’ve got four great ideas on how to have a spectacular holiday with KLM. KLM multi-city flights feature is fantastic for booking the backpacking trip around Europe that you've always dreamt of. Enter your departure airport and first destination and then click on Multi-City at the bottom of the form. Then you can start to enter your next destinations and dates you'd like to travel. If you're looking for some inspiration check out KLM's city breaks for some ideas on where you could head. Why not discover the thriving culture and gorgeous contemporary buildings of Valencia or the thermal baths and ruin bars of Budapest? Stop off in Berlin to soak up the history and nightlife, and then fly over to Amsterdam for lots of museums and art. We could go on forever so we’ll leave you with that; you could also check out our guide to the cheapest city breaks in Europe. As well as city hopping around Europe, you can also take advantage of KLM's long-haul destinations, where you'll find their prices very competitive compared to other airlines. Do you dream of relaxing on the beach surrounded by tropical landscapes in the Caribbean? Or have you always wanted to experience the wonders of South America with its white-sand beaches, ruins and rainforests? 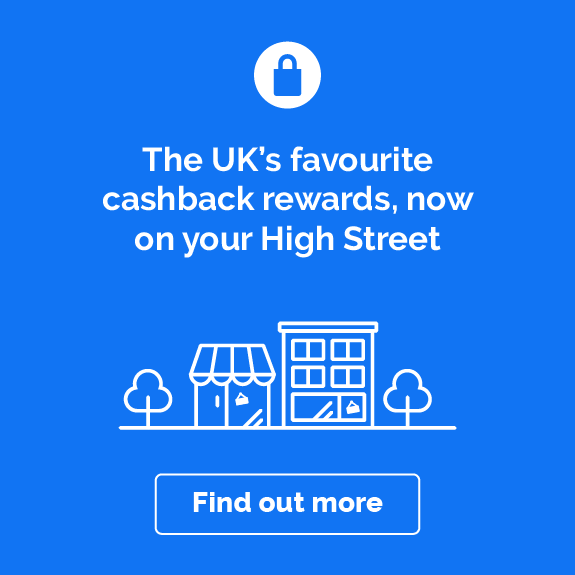 KLM can make your dreams a reality – just follow the offer links on this page to book your long-haul flight and earn cashback. Take your travel up a notch with KLM Business Class. Whether you’re flying within Europe or worldwide, you can enjoy extra comfort and time-saving services when you upgrade to Business Class. Flying Europe Business Class means you’ve got more baggage allowance, priority when checking in, going through security and boarding your flight so your trip will be a breeze. Once you’re on your flight you can enjoy a hot meal, sandwich, salad or tapas plate and various snacks. Plus, you can earn up to 250% miles if you’re a Flying Blue member. If you upgrade to World Business Class you get similar treatment – enjoy a sleeper seat, a personal entertainment system, your choice of 3-course meal accompanied with a glass of wine or beverage of your choice. And when you travel in World Business Class you can earn up to 175% more miles as a Flying Blue member. So take advantage of your cashback savings and treat yourself to an upgrade on your next trip. If you fancy yourself as a bit of a globetrotter then KLM can make booking an around the world trip a breeze. KLM is part of SkyTeam who can help you plan your trip so you can visit as many destinations as you want to. KLM offers 4 different types of round the world tickets so the price will depend on how many stops you want to make and the overall distance you are travelling. And if you need a little inspiration, KLM has a few ideas up their sleeve to help you decide – just head on over to their round the world tickets page to look at their ideas or use the SkyTeam Round the World Planner to map out your adventure. Check the terms and conditions before booking a round the world ticket with KLM, as those types of tickets may not be eligible for cashback. We hope that you’re ready to pack your bags and set off on your trip, but if you still have a few questions about booking your trip or flying with KLM, check out the answers to some of the most commonly asked questions below. What does KLM stand for? KLM stands for Koninklijke Luchtvaart Maatschappij, which translates, to Royal Dutch Airlines. Where does KLM fly to? KLM flies to over 500 destinations worldwide so you really are spoilt for choice on where you can head on your next trip. Check out KLM’s destination guide to start searching for your next trip. Can I cancel my KLM booking? Sometimes life doesn’t go as planned and you need to cancel your plans. Thankfully KLM allows you to cancel your flights easily. You should check the conditions for cancelling your ticket in your booking confirmation email. Please note that cancelling your flight booking with KLM will invalidate your cashback. Can I change my KLM booking? You can amend your KLM booking depending on the type of ticket you have. Check the terms and conditions of your ticket in your booking confirmation or in the My Trip area of the KLM website. If you are able to change your booking, you can do so online, via telephone or by contacting KLM on their social media channels. To change your flight online you should log in to My Trip and cancel your check-in if you have already done this. Once you’ve done this go to your flight details and click ‘Change flights’. Search for alternative flight dates or times, and even destinations. Any fees or fare differences for changing your flight will be shown clearly before you confirm your changes. Check in online by clicking the Prepare for travel link in the navigation bar on the KLM homepage. You'll then need to enter your ticket number or booking code along with your flight number to start the check-in process. You can find all the information you need about your flight in your booking confirmation. Can I transfer KLM miles? If you're a Flying Blue member and you've racked up more Miles than you need, you can transfer them to a loved one. Head to the Flying Blue section of KLM and click on ‘Buy or transfer miles' on that page to get started. 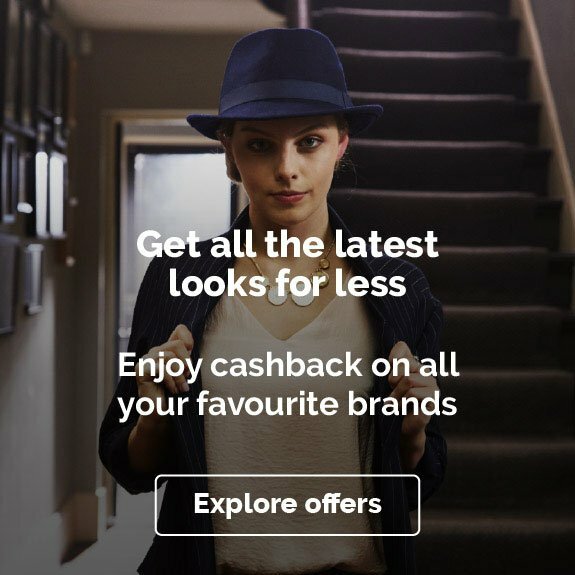 If you’re looking for more cashback offers on flights, check out our deals with Air France, Emirates and Etihad Airways. Or if you’d prefer to book the whole holiday package in one go check out the cashback offers we have with easyJet Holidays, Thomas Cook and Jet2holidays.com to find a great deal on your next trip.